The Men's Wearhouse board of directors said it fired founder George Zimmer for his power-hungry pursuits to take the company private. 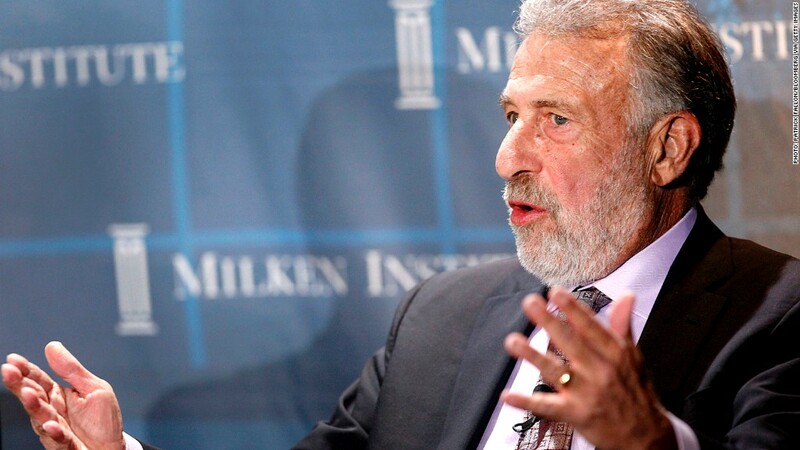 Men's Wearhouse explained Tuesday why it fired executive chairman George Zimmer last week, depicting the founder as power-hungry in his desire to sell the company to private investors. "Mr. Zimmer reversed his long-standing position against taking the company private by arguing for a sale of the Men's Wearhouse to an investment group," the company's board of directors wrote Tuesday in a statement it made public. But the board said it opposed the move, which would force the company "to take on a huge amount of debt." "The board believes such a transaction would not be in the best interests of our shareholders, and it would be a risky path on many levels," the directors wrote. The board also emphasized that Zimmer's 3.6% stake in the company did not give him a controlling role. "Mr. Zimmer had difficulty accepting the fact that Men's Wearhouse is a public company with an independent board of directors and that he has not been the chief executive officer for two years," said the board. The board added that Zimmer "refused to support" Chief Executive Doug Ewert and other executives "unless they acquiesced to his demands." The board also said he "expected veto power over significant corporate decisions." But despite all those criticisms, the board insisted that "our actions were not taken to hurt George Zimmer." Men's Wearhouse (MW) shares rose more than 5% on Tuesday. The board terminated Zimmer, who co-founded the company in 1973, as executive chairman on June 19. He then quit the board on Monday. Zimmer, known for his advertising tag line "You're going to like the way you look. I guarantee it," declined comment to CNNMoney. On Monday, he released a letter explaining that the board, in its termination, was avoiding his "growing concerns" about the company. Hundreds of shoppers expressed outrage for the firing last week on Facebook (FB). One of those shoppers, Megadeth frontman Dave Mustaine, collaborated with saxophonist Kenny G on a fake commercial parodying Men's Wearhouse. The fake ad can be seen on Funny or Die.